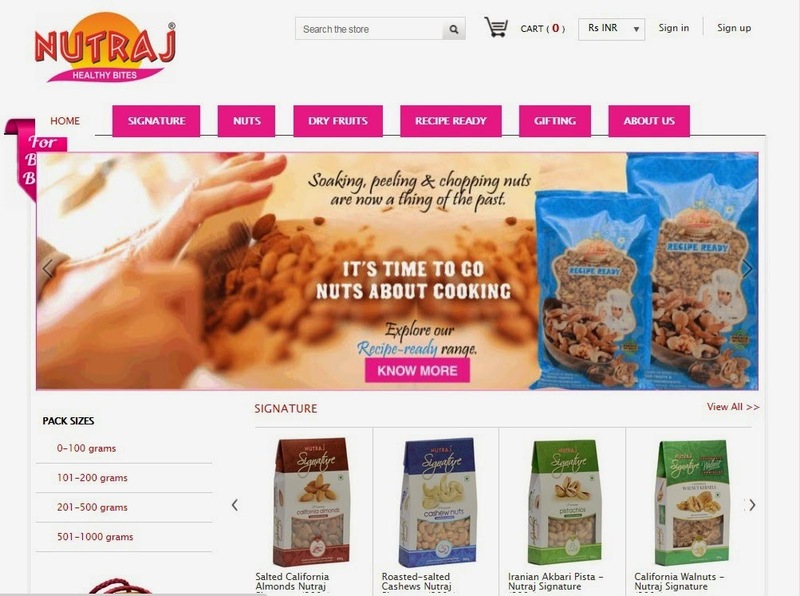 VKC Nuts, One of India’s most prominent processors, exporters and importers of nuts and dried fruits has extended its presence for its customers under the online retail & consumer brand Nutraj.com. Offering a finest variety of health foods from across the globe to every Indian household, the holistic product range features Walnuts, Almond, Morels, Pistachios, Cashew, Macadamia Nuts Pecan, Raisins and more. Serving a span of over 90 years, the company has not only carved a niche for itself in the Nuts & Dried Fruit industry but it has also managed to gain a customer loyalty with their quality products. With the tremendous growth in the retail segment and everything going online, VKC Nuts aims to reach out the customers online via tapping those markets where these healthy food stores are not present. Speaking on this new initiative, Mr. Gunjan Jain, Director of VKC Nuts Pvt. Ltd. said “We have managed to create a distinguished place in the industry. Through this online platform, we aim to connect with the existing and potential customers and give them a healthy enriching experience. People with access to Internet can now buy these healthy bites through our website without having to hesitate on quality. These products are available pan India with the prices starting from INR 90 per 100 gm. Nutraj is the latest, most innovative retail and consumer brand by VKC Nuts- one of the largest processors, exporters & importers of nuts and dried fruits in India since more than 9 decades. Nutraj brings the finest variety of nuts and dried from across the globe to every Indian household. The brand leverages an extensive international network that has been cultivated over the past 90 years by the parent company to source the best produce from various parts of mother earth. Adhering to global standards of quality and hygiene, Nutraj products are vacuum packed or nitrogen flushed to ensure that they remain fresh and crisp. From walnuts by India's largest exporter to those through the Walnut Board of California; the choices offered are immense. From vacuum packed nuts of Kashmir to premium nuts, imported berries or other exotic dry fruits from around the world and from sliced, diced, powdered or chopped nuts to flavored, salted or roasted dry fruits; Nutraj products are ideal for healthy snacking as well as for cooking ingredients. Serving a span of over 90 years, VKC Nuts is one India’s largest processors, exporters, importers, sellers, packers, wholesalers and distributors of nuts and dried fruits. Founded by Late Lala Balwant Rai in 1926, the dedication of four generations has established the company as a pioneer in the Nuts & Dried Fruit industry. In addition to being one of the Largest Processors & Exporters of Indian Walnuts, VKC today, has grown to be a Multi-Product, Multi Location Company at the forefront of Nuts & Dried Fruit Trade, maintaining a consistent CAGR of over 25% for the past decade.